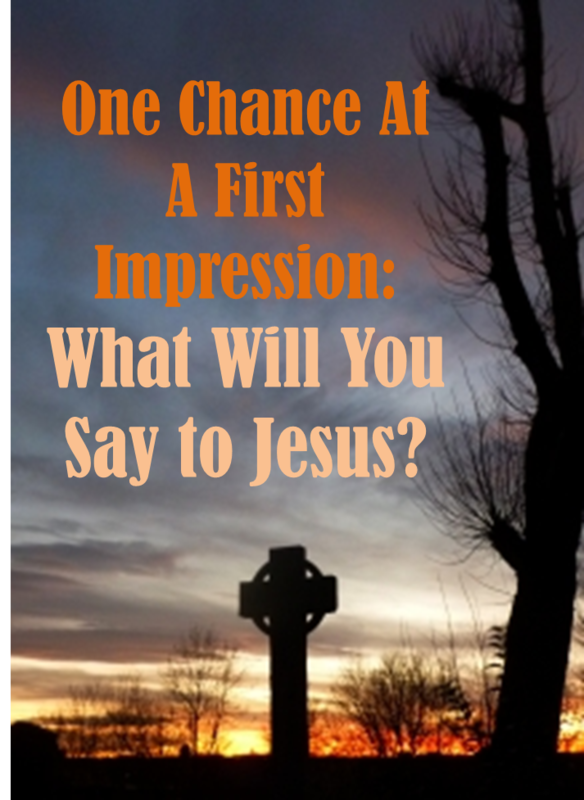 One Chance At a First Impression: What Will You Say to Jesus? What do you think it will be like to see Jesus? Whether we’re here on Earth and he returns or we’re in Heaven after our mortal time ends, what do you think it will be like? He already knows you. Hopefully you already know him. Hopefully you already have deep discussions and speak with him on a regular basis. I ask you to take a moment and truly, prayerfully consider, in the midst of this Holy Week when we should be thinking on, meditating about and nourishing our spirits with the very fact that Christ died with our sins upon him and then rose, overcoming death so that we, too, may live life eternal—what will it be like when you see Jesus face to face, with the eyes of your body and Spirit, and he becomes tangible flesh before you? Share with me: What is the first thing you will say to Jesus when you see him? So when my grandfather died my great uncle did the funeral. He said that when Grandfather arrived in heaven he glanced at Jesus and Jesus took his hand and in that moment he knew – he understood – he saw how the plan had unfolded and the Whys of everything. And I remember thinking (very selfishly I might add) that it must be amazing that now Grandfather knows why I almost died and why I couldn’t have more kids and why *he* had to get sick and that it must be amazing to know the whole plan. Yeah, that is going to be pretty amazing. It’s overwhelming to think about.